We are a very friendly team of 5 Osteopaths, 2 Sports Therapists, an Acupuncturist and Practice Manager. The practice was first established by Sue Morrison in 1983 in Springfield Road and Jonathan started working there in 1995 and then took over the practice in 1998. In 2005 Jonathan moved into new premises on the Moreton Hall, Bury St Edmunds where the clinic remains today. Jonathan was a Clinic tutor from 2003 – 2005 for the European School of Osteopathy, which involved a pediatric and adult clinic and regular lecturing in anatomy and pediatrics both as an under grad and post grad in UK and Europe. His special interests are pediatrics, women’s health and the challenges of old age! Hobbies include vegetable gardening, tennis and kite surfing. James studied at the British School of Osteopathy, graduating in the summer of 2006 with a degree in Osteopathy, and has since worked in a variety of clinics, initially working with a team of biomechanics experts and podiatrists that have successfully treated a host of elite athletes that compete on the world stage. Since 2007 he has been working in Newmarket and his local town of Bury St. Edmunds. He is qualified in dry needling acupuncture and has a post-graduate diploma in the management and treatment of sports injuries. His sporting interests include tennis where he has competed in many regional tournaments, as well as hockey, where he plays for Bury St. Edmunds. James is registered with the Osteopathic governing body the GOSC, as well as a multitude of private healthcare providers. Louise Carruthers qualified from the British College of Osteopathic Medicine in 2008. She joined the team at Bury Osteopaths in 2011. Louise enjoys meeting and treating patients from all walks of life. She uses a mixed approach, and is able to vary treatment styles to suit her patients. Louise has done further training in cranial osteopathy, visceral osteopathy and kinesiotaping; as well as more traditional approaches. She completed a post-graduate masters degree in osteopathy in 2016. She studied, amongst other subjects, advanced clinical management and teaching; which she uses to help improve patient experience. Louise started teaching osteopathy part-time in September 2017, which she loves; and finds that it brings new energy back into clinic. Paul France qualified from the European School of Osteopathy with an Integrated Masters Degree in Osteopathy. Paul started his career with showing an interest in sports injuries having played tennis and judo to competition level from an early age. During his training he had the opportunity to follow mothers through their pregnancies and to treat new-borns and was facinated to see how Osteopathy can help during such transitional periods and thus he shows a specific interest in this field. Paul is passionate about Osteopathy and enjoys getting to know his patients as individuals and the challenges that each of them brings. Paul`s aim is to understand the root of the problem to assist as much as possible the symptoms from reoccuring in the future. Paul has experience of both Structural and Cranial Osteopathy and has followed serveral post graduate courses in Visceral Ostopathy, he is also qualified in dry needling. Outside of work Paul is a keen traveller and enjoys golf, tennis and running. Paul is a registered member of the General Osteopathic Council and the Institute of Osteopathy. 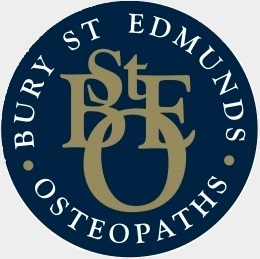 Samuel Stockley qualified from the European School of Osteopathy with an Integrated Master’s Degree in Osteopathy. Samuel is passionate about osteopathy and loves the holistic nature of osteopathy and helping individuals manage their pain utilizing the various approaches of Structural, Visceral and Cranial osteopathy. Samuel has played judo competitively from a young age with interest in music, rugby, martial arts, and skiing. Samuel has enjoyed treating and helping pre and post-natal women along with their new-borns, individuals with sports injuries, and helping people with their chronic pain management. Nick is a Graduate Sports Therapist from Coventry University with a vast amount of experience working in a range of different areas of healthcare and sports including the likes of Nottingham Forest FC, Coventry City FC, Coventry RFC and more. Nick has a strong interest in the physical activity, health and well-being of the general public of which has fuelled his passion to help as many people as he can by using evidence based treatment that strives to achieve significant progress for each client. Additional to his degree Nick has completed a Sports Medicine Diploma, as well as other courses including Sports Massage, Tapping including Kinesiology, Gym Instuctor, Intermediate First Aid for Sport, Safeguarding for Children and more. Outside of work Nick spends his time running, playing football, in the gym or playing the drums. Charlotte graduated from the University of Worcester in 2017. Her placements took her to Valencia, Spain to work with the professional Basketball team as well as Worcester Warriors, Severn Stars Superleague netball and Moseley Rugby Club. She has worked in semi-professional football since graduating and enjoys the variety that clinical and pitchside work provide. Charlotte’s interests lie in lower limb injuries and teaching movement patterns to reduce aches or pains as well as helping each person to understand their symptoms so they are able to create new habits to provide long-term relief. She has observed Osteopaths in the past and has found there is a lot to learn working together in a clinic. As well as her degree, Charlotte has completed additional courses in k-taping, Trauma & Pitchside first aid and will compete a Level 3 Diploma in Nutrition and Movement Optimisation that can be applied in the gym and daily life later on this year. Charlotte would like to complete a course in acupuncture in the future to broaden her skill set. Charlotte enjoys High Intensity Interval Exercise, travelling and is a member of the Society of Sports Therapists. Gina is a graduate of Portsmouth University BSc (Hons) Acupuncture, who is dedicated to helping others in the pursuit of optimum physical and emotional health using natural, holistic methods. As well as Traditional Chinese Medicine (TCM), Gina also practices Tung style acupuncture. Founded by renowned Taiwanese practitioner, Master Tung Ching Chang (1916 – 1975) and is a system of acupuncture known for its rapid clinical effects upon needle insertion. Gina also has a special interest in women’s health and has undertaken post graduate study in gynaecology, fertility and IVF/Assisted Reproduction.